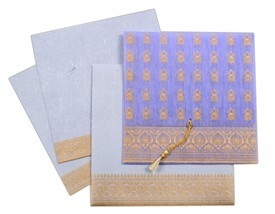 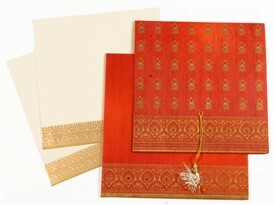 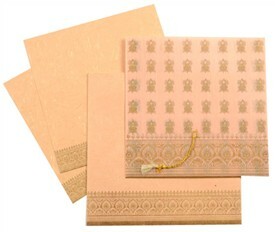 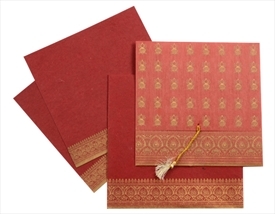 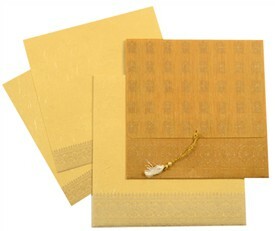 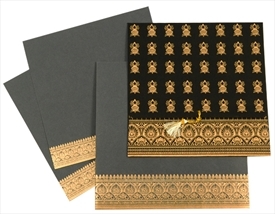 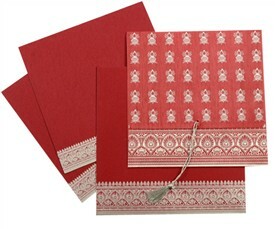 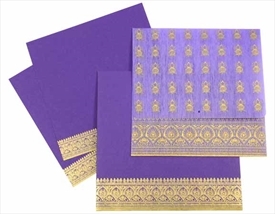 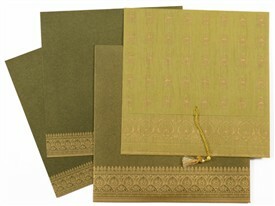 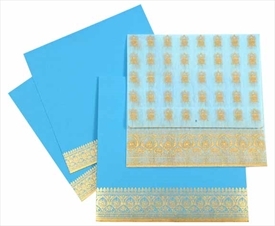 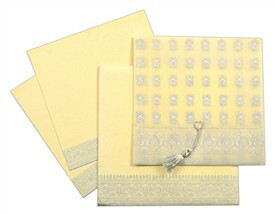 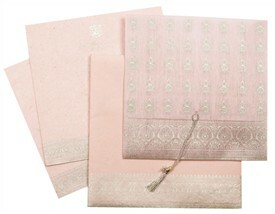 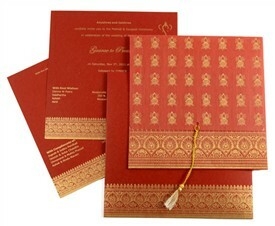 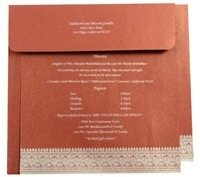 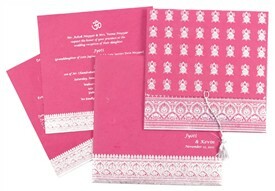 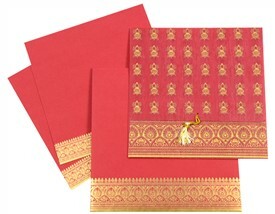 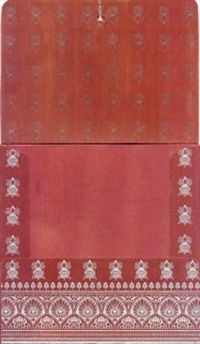 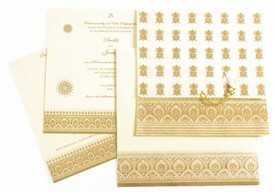 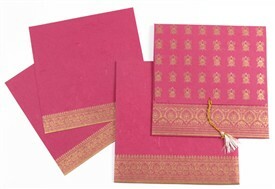 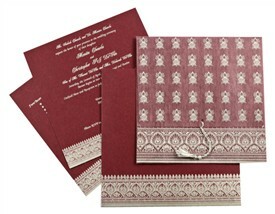 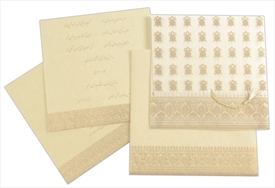 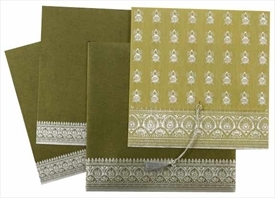 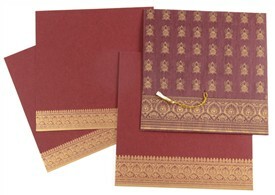 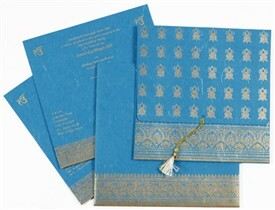 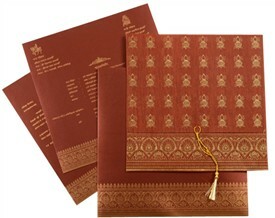 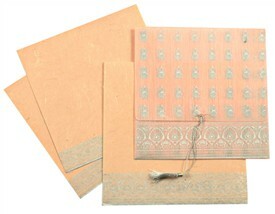 D-953, Brown Color, Hindu Cards, Designer Multifaith Invitations. 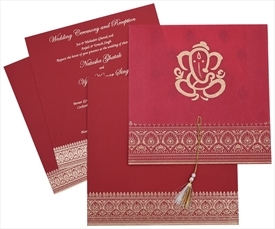 This wedding card has a base design of kalash symbols with a silver zari tassel on the front with the lower fold having a decorative border design in silver. 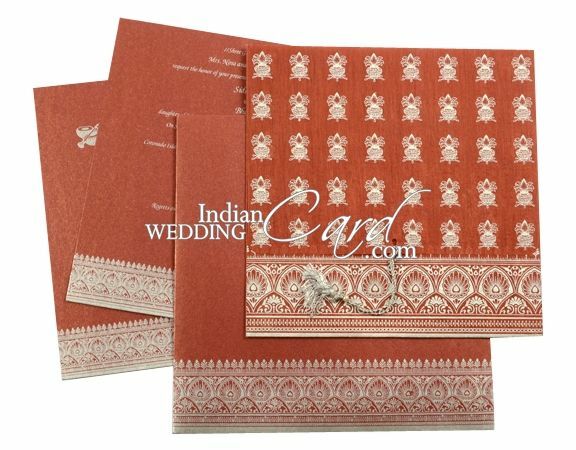 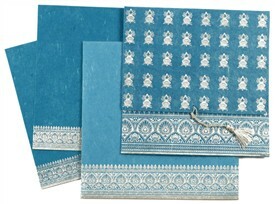 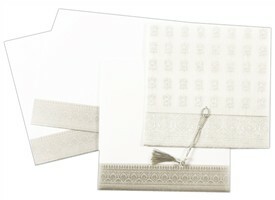 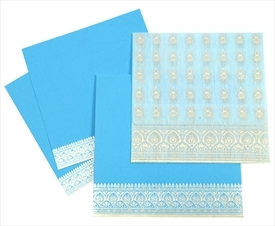 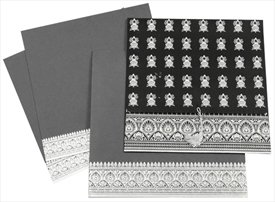 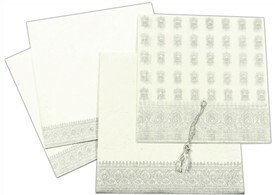 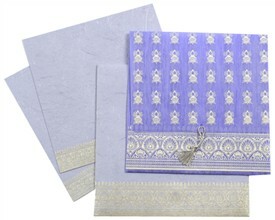 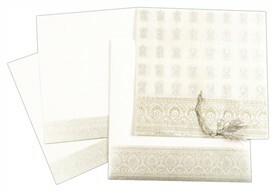 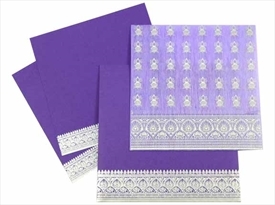 The inserts have similar border design and the envelope also has the same border design.